Unown is an interesting Pokemon. There are 28 different versions of the Pokemon. I created Unown A back in 2011 with the intention of working on the others sooner than 2017. 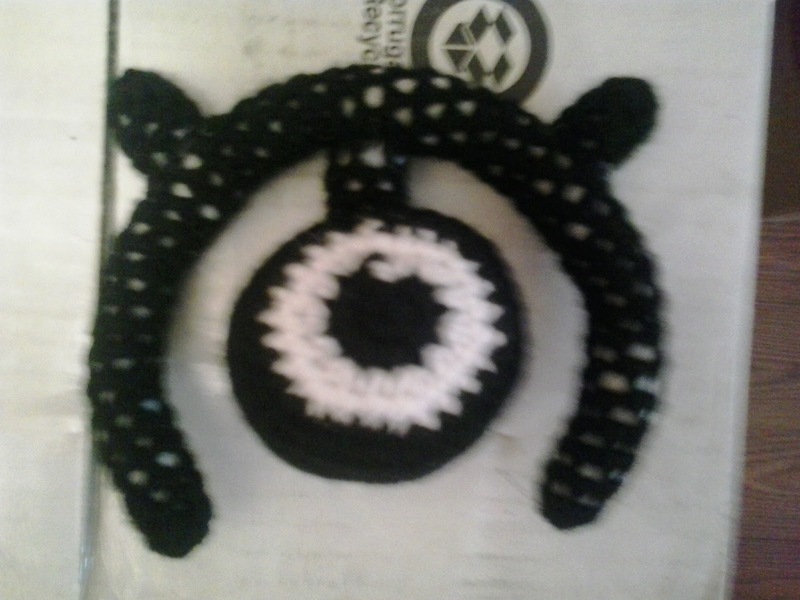 Here is Unown M. That means I have 26 out of 28 done. I have included the color list for both Unown M and Shiny Unown M.
Finish off leaving a long tail. Stuff POST firmly. Sew POST to EYE. Finish off leaving a long tail. Stuff ARM firmly. Insert floral wire. Sew ARM to EYE. Finish off leaving a long tail. Stuff ARMS BUMPS firmly. Sew ARM BUMPS to ARM. Unown A, Unown M, Shiny Unown M and Pokemon are copyright Nintendo and their respective creators.